Raushan Ershad, senior co-chairperson of Jatiya Party, has been made deputy leader of the opposition in parliament relieving GM Quader from the post. “As chairman of Jatiya Party and leader of the opposition in parliament, I am removing GM Quader from the post of deputy leader. Raushan Ershad has been given the responsibility of the post of deputy leader,” HM Ershad said. Ershad disclosed the decision on Saturday, said a press release. Speaker of the house to take necessary measures in this regard, it said. 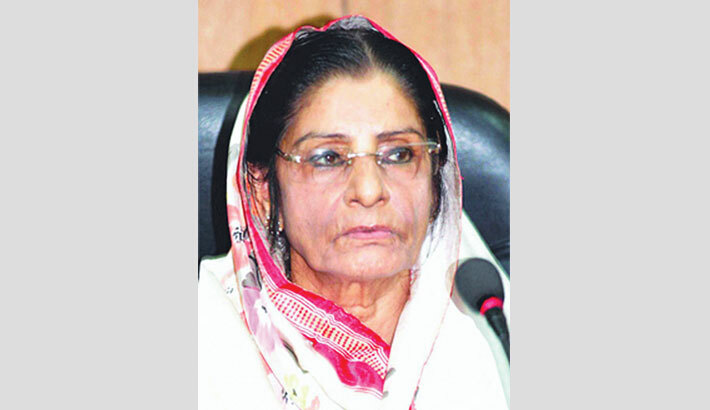 Raushan, wife of Ershad, was the leader of the opposition in the 10th parliament. GM Quader, younger brother of Ershad, lost his post of deputy leader of the opposition in parliament along with party-co-chairmanship on Saturday and Friday respectively. In a press release on the night, he said he had earlier declared that GM Quader would be in overall charge of leading the party in his absence and expected that he would be elected party chairman in the next council. “But considering the party’s overall situation, I withdrew my earlier announcement,” said Ershad. He said Quader totally failed to discharge his duties and that is why the party’s organisational activities lost stream and party’s senior leaders also expressed frustration over Quader’s leadership. “But he will be a presidium member of the party,” Ershad said, adding that the parliamentary party of Jatiya Party will decide whether Quader will be the deputy leader of the opposition in parliament or not.